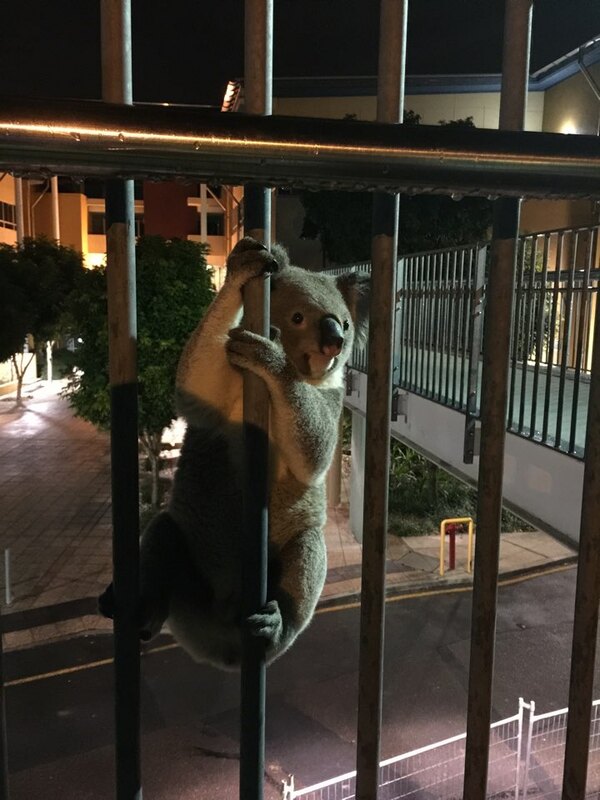 What do Koalas do at night? Mmm … almost there. Now to just get past this fence. They go looking for a good education. An alert cleaner at Griffith Mt Gravatt Campus caught this intruder on camera. Outstanding wildlife photography! Just hanging out. Don’t worry about me. 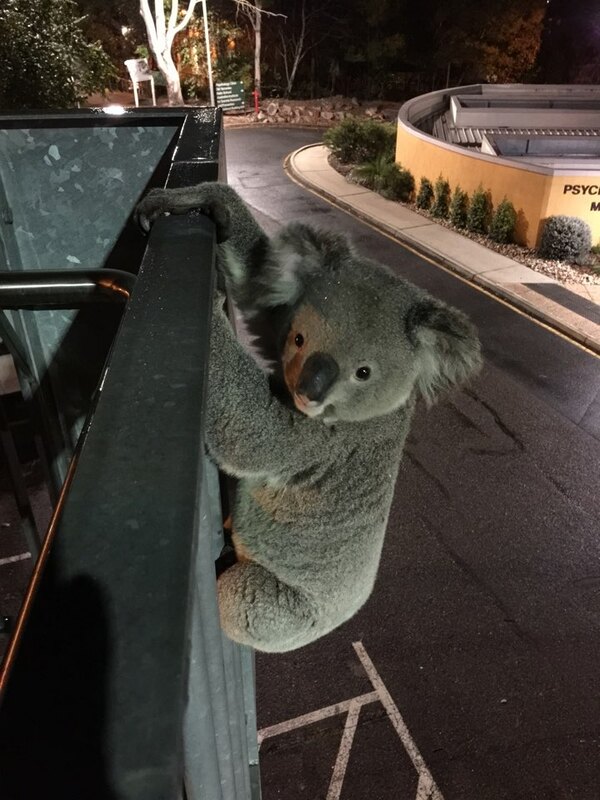 Of course being a university qualified Koala he was climbing into the Education building.